We offer to our clients a broad range of Designer Vanity, which is extensively used in hotels, restaurants and household sectors. 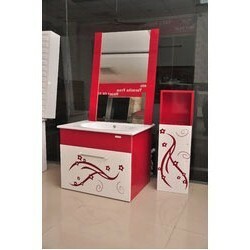 These designer vanity sets are designed and manufactured using top-notch quality raw material and advanced machinery to maintain a high level of precision in the offered product. Available in various color and patterns, these are also available on a customer propriety specification design. 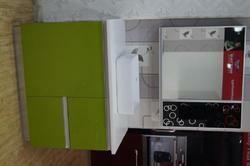 We are manufacturer and export in stainless steel kitchen wardrobes, bar, steel interior and many more. Our product range encompasses elegant modular kitchens, Bathroom Vanity, stainless steel modular kitchen and island kitchens. These products are highly appreciated for features like reliable performance,rigid construction,corrosion resistant finish, sophisticated designs, elegant looks,longer service life,optimum quality & excellent performance,these are widely used in kitchens,hotels,restaurants,& industrial canteens. We export our products all over the world. Our product range encompasses elegant modular kitchens, Wall Hanging Vanity, stainless steel modular kitchen and island kitchens. These products are highly appreciated for features like reliable performance,rigid construction,corrosion resistant finish, sophisticated designs, elegant looks,longer service life,optimum quality & excellent performance,these are widely used in kitchens,hotels,restaurants,& industrial canteens. We export our products all over the world. Our product range encompasses elegant modular kitchens, Vanity, stainless steel modular kitchen and island kitchens. These products are highly appreciated for features like reliable performance,rigid construction,corrosion resistant finish, sophisticated designs, elegant looks,longer service life,optimum quality & excellent performance,these are widely used in kitchens,hotels,restaurants,& industrial canteens. We export our products all over the world. We are counted amongst the prominent traders of SS Vanity. 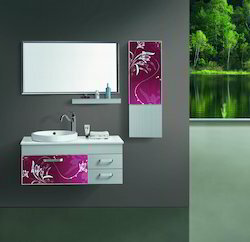 Our SS Vanity are made by using quality raw materials like wood, PVC and Korean stone. These products are tested on various parameters to gauge their quality. One can avail from us a designer range of Stainless Steel Vanity, which is manufactured from premium quality Toughened steel & steel frames. 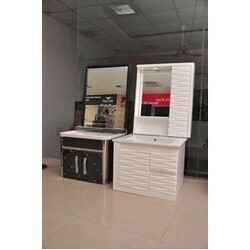 Our clients can avail these Vanity at most feasible rates in market. apart from this, we offer these Vanity within the promised time frame. The Metal Vanity is a modern alternative to the pedestal sink. 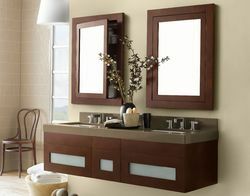 The vanity has four adjustable round metal feet and an over-sized porcelain sink. 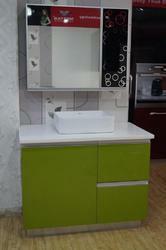 We manufacture these Vanity in sync with the international quality standards and norms. 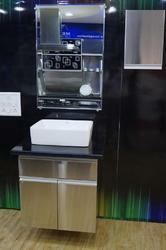 We are reckoned as leading manufacturer and supplier of a wide array of Stainless Steel Modular Vanity. Our clients can avail this easy to fit range available in ready-to-install Prefabricated formats of different sizes, designs, shapes, colors and patterns. So we are also consistently taking a step towards innovating and providing the best quality of kitchen in Stainless steel to the Indian consumer. 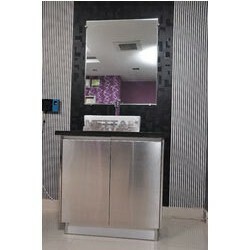 Looking for Stainless Steel Vanity ?